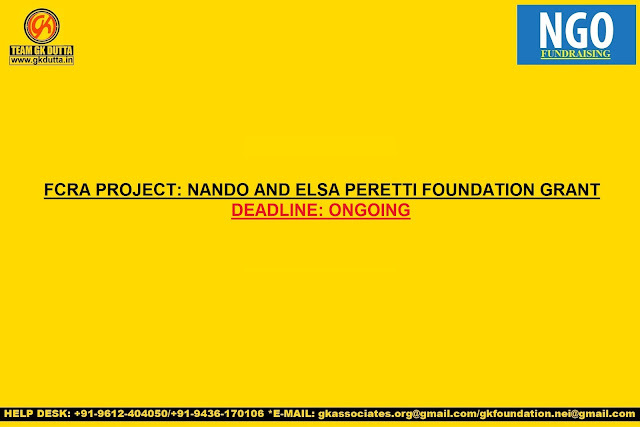 The Nando and Elsa Peretti Foundation is currently inviting non-profit organizations to submit project proposals, with an aim to protect and promote human rights, children education and protection, scientific and medical research and health, promotion of art and culture, environmental protection and nature conservation. NPF’s mission emphasis on the environment and wildlife conservation, and a focus on humanitarian and charity programs, with a particular attention to first-aid interventions for relieving poverty and suffering. Applicants from any country are eligible to apply. Applicants must be a non-profit organization (association, foundation, cultural association, university, academic institution, etc.). The working language of the Foundation is English. Application forms submitted in other languages will be rejected. Application forms written in poor English will be rejected.